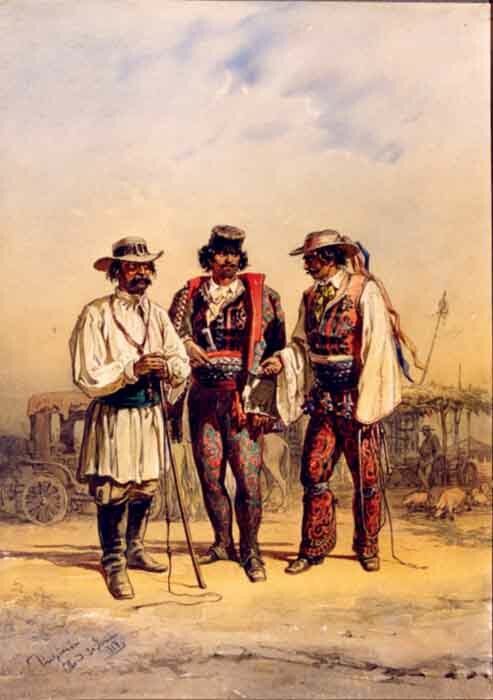 The project seeks to investigate a theme that has been scarcely explored by the Romanian historiography of the last decades: the impact that the transformations that took place across the entire Europe during the 16th-18th centuries had on the urban world from the Romanian Principalities. Even though eastern Europe displays certain particularities, as it laid in a contact area between the East and the West, the cities from the two polities were not free from the changes that took place around them, on the backdround of the Reformation, the great geographical discoveries, the crisis of the 17th century, the increase of the monarchical powers, etc. Clarifying the mechanisms behind the transformations through which the urban world went during the 16th-18 centuries contributes to a better understanding of the political, economical and social structures in this area during the Early Modern age. Starting with the case of the cities, the project aims to tackle the question of the belated modernisation of the Romanian Principalities — slow during the 17-18th centuries, gaining momentum only in the 19th centuries. Among the objectives of the projects are: to define an urban typology; to explain the causes behind the downfall of certain medieval town; to ascertain the conditions for the development of new towns; to establish the role played by the boyardom, the Church and the ruling prince in this process; the Jewish immigration from Galicia and the towns; Early Modern urban topography; etc. The project touches upon complex fields of historical research, ranging from political, economical and administrative history, to urban topography, issues of social history, demography or mentalities. The title of this project has served to define the two major lines that the research team will follow, as well as its geographical, political and temporal scope. The 16th century was a significantly complex period in history. It was then that several vast religious, cultural, economic, and political shifts gradually change the climate in Europe, specifically: the Renaissance, the Reformation or the great geographical discoveries. Each of these had a major impact on the medieval man: the Renaissance changed his self-perception and sparked a cultural expansion that could only be compared to that of the Antiquity, the Reformation changed his attitude towards faith, while the discovery of new lands shifted his attitude towards time and space, and the world economy moved onto a wholly new path. Although having taken a more or less decisive turn (towards what we refer to as „modernization”), the 16th-18th centuries saw European society as still clinging to older mindsets and structures. They were more pervasive in the Eastern reaches of the continent, and this is how the main topic of the project comes into discussion: the towns. Whereas the medieval urban world of Western and Southern Europe built upon the ruins of Roman towns, its Central and Eastern counterparts had no such similar foundations, except for a few cases (Transylvania, Pannonia and the Danube Valley). The medieval towns in the area that was to be inhabited by Romanians emerged and developed at a later date, when the Romanian Principalities of Wallachia and Moldavia were established between the Carpathians and the Danube (14th century). In the 16th century, these towns already shared the same level of organization and economic development with similar towns in Central Europe, despite a few limitations which had to do with their specifics. The changes which the 16th century brought about and which were perpetuated throughout the next two meant that towns had to adapt. Some succeeded, some did not; some vanished, and others took their place. We will direct our attention to these towns, the older ones which adapted, but also on the new ones, their society, the pursuits of their inhabitants, the relations with foreigners. Indirectly, changes in the 16th century and the “17th century crisis” that was to follow were partly seen as responsible for the transformations that Central European towns underwent. 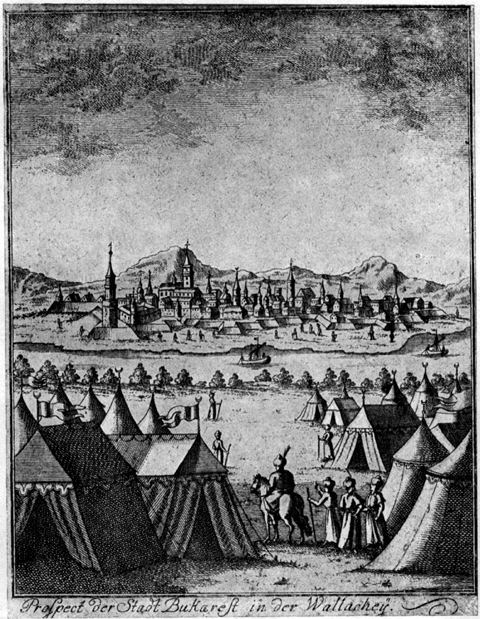 The ever-growing demand for produce, the gradual limitation of the mobility of German merchants, the “price revolution”, the land-owning grand nobility that extended its power, as well as the advances of the Ottoman Empire in the area (with the conflicts it created when expanding towards Hungary and Poland), all took an economic, political and social toll on urban life. We intend to explain whether and to what extent these processes had an impact on urban evolution in the Romanian Principalities. We will attempt to overcome the limitations in historiography and to link our research to the research of scholars in the neighboring countries. Until recently, national historiographies in Central and Eastern Europe were a one-way perspective on the towns of this period. However, the recent publication of research in Hungary, Poland or the Czech Republic in other languages allows us to better understand the processes at work in this vast area, and a systematic, compared research sheds light both on common features, which transcend the borders of the countries of the time, as well as on local and regional specifics. Sources reveal that in the 16th-18th centuries, towns in the Romanian Principalities face several challenges. The Reformation determined some of the local communities to convert to the Protestant faith. This is why confessional conflicts erupted in the Principalities and Moldavia in particular. In the long run, these conflicts would lead to a shift in the ethnic balance of towns: the communities of Germans, Hungarians, and Armenians, who had contributed in developing some of the medieval towns here, are replaced by Romanians, joined by Levantine merchants, with their background steeped in Greek culture. The 16th century is witness to the emergence of the last major towns with a significant contribution by the ruler: Galaţi, Focşani, Ploieşti, Şcheia, Ştefăneşti; only some of them will last until modern times. The next century, despite being periodically disrupted by turmoil, both within and abroad (which would leave a bitter mark in many towns) represents a period of moderate stability for the urban centres in the area. Urban communities continue to enjoy autonomy. It was only in the capital towns of Bucureşti and Iaşi that the second half of the century consolidates the authority of the ruler and that of his officials. Following this trend of absolutism (with features dictated by the Ottoman influence), the rulers maintain their policy in the next century as well, and several towns gradually lose their privileges. The reasons for this were financial, but social as well. This is a matter that we will elaborate on, since the townspeople also played their part in it. The Levantine elements settled in towns were less keen on preserving the privileges of the community as a whole, and were instead interested in gaining personal or group privileges, and in being accepted as boyars. The townspeople are grouped according to their pursuits, with the guilds gaining prominence, albeit later than in neighboring countries (from the 17th century on). The monasteries also increase their power and control large portions of land in towns, which they lend to the inhabitants. Throughout the 18th century, the rulers bring a large number of towns fully under their control. In this project, we will seek to explain that the relations between the central authority and towns fit a pattern that now pervades the entire Europe. As Jaroslav Miller stated in his work on Central and Eastern European urban societies of pre-modern times, “disciplining towns and subjecting them entirely to the ruler’s control became the task of the day”, and this scenario applied all throughout the continent. Specific to this process is the expansion of state administration to every level, which burdened the governing apparatus with bureaucracy, at the expense of autonomous power structures such as towns. We will show that the same process displayed some variations in the Romanian Principalities, since it involved adapting and expanding some medieval institutions. We also need to consider the influence that the Ottomans had on every level over the Principalities, which contributed to “orientalizing” this bureaucracy. This situation begins to change gradually from the second half of the 18th century on, as the Russian and Austrian influence increases, leading to a process of urban planning. Some towns develop, some cease to evolve, others become simple villages (being donated to boyars or to the Church), and they are replaced by an entire network of market towns (târguri) located on the domains of the boyars or the monasteries. In Moldavia, these market towns are populated by Jewish immigrants who had left Galicia (Red Russia); we will also focus on this topic, as one of our team members is from Lviv, Ukraine. The timeframe for our research is the 16th-18th centuries, but the year 1800 cannot be set as a rigorous end-limit; based on our sources, and to provide a consistent overview, we will also direct our attention to the first few decades of the 19th century, until 1821-1829, when the Ottomans allow the Principalities more autonomy, when forced by Russia. The topic we are proposing is therefore complex, innovating and it deserves to be approached by a team of researchers.